As the premier skilled nursing facility in Frederick, MD, Citizens Care and Rehabilitation Center of Frederick provides compassionate and personal skilled care 24 hours a day. We specialize in providing rehabilitation services onsite to help our residents regain their independence and return to their homes. 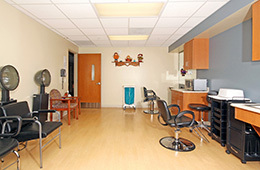 Citizens Care and Rehabilitation Center of Frederick sits in an ideal location. Residents enjoy the sun streaming into their rooms, and visitors enjoy the convenience of making frequent visits. We are also in great proximity to freeways and public transportation. Inside our facility, the beautiful and relaxing décor aides healing and allow our residents to feel more at home. Often the transition to a skilled nursing facility is challenging. At Citizens Care and Rehabilitation Center of Frederick, we strive to ease the process by providing an environment where residents and guests feel informed and comfortable. Visitors are welcome every day of the week. Come to see our residents and friendly staff in action. Please contact us to learn more about the unique, sophisticated healthcare environment here at Citizens Care and Rehabilitation of Frederick.